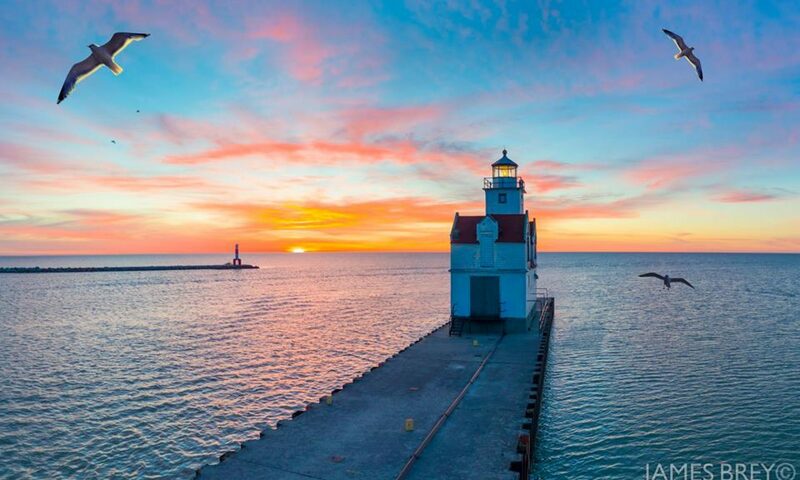 The Kewaunee Lighthouse Fresnel Lens is the key to the entire operation. Because the lighthouse needs a way to focus light a Fresnel lens is the solution. It is essentially a way to focus light into a beam that can be seen at greater distances with less material than a conventional magnifying lens. The development of this concept is generally accredited to the French physicist Augustin-Jean Fresnel for lighthouses. 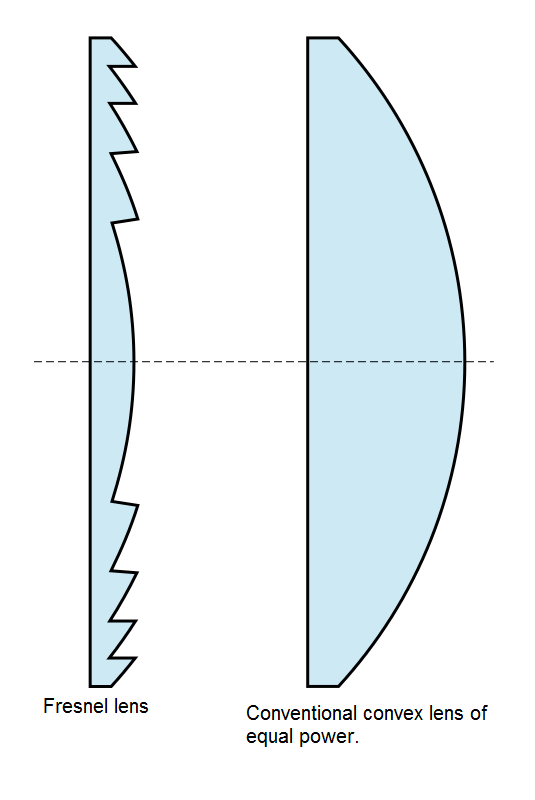 Fresnel lenses for lighthouses are come in 6 sizes (called orders) with first and second order lenses generally used on ocean lighthouses with smaller orders found on the Great Lakes and other inland waterways. The Kewaunee Pierhead Lighthouse Fresnel Lens is a fifth-order lens. That means it has a height of 21.3 inches, almost 7.5″ in focal length and weighs between 265 and 441 lbs (according to the US Lighthouse Society). It’s useful visual distance is about 10 miles (average for a 5th-order lens). Such a lens would have cost about $950 to make in 1900 which would equate to over $26,000 in today’s currency. 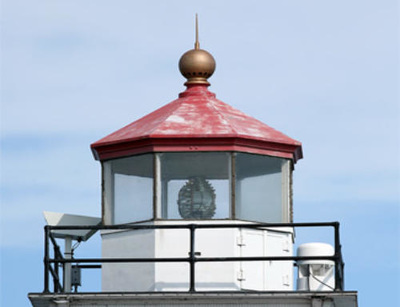 The current lens will be replaced with an LED light by the USCG and the old lens housed in a new case as part of the lighthouse preservation project once it has been professionally cleaned.